ocean. Team Do Work not only consists of the boat crew, but also the family matriarch NannyBird who is always standing dockside to support her team and see the day's catch. 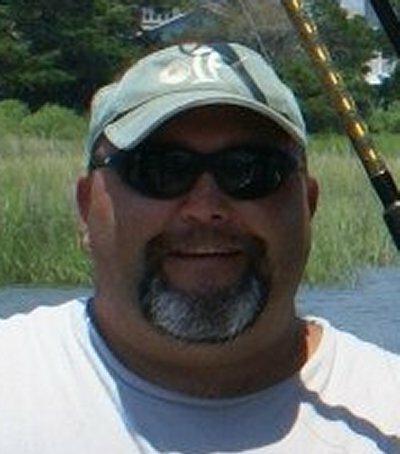 Captain Rickey Beck, father of Captain Jeff Beck and the senior angler for Team OIFC/Do Work. I began pond fishing when I was about ten years old. I pretty much got out of it until Jeff came along and we would take father son fishing trips together. I began working at the OIFC about 6 yrs ago and gained a lot of knowledge from Capt. Brant and his Charter Captains. It was king mackerel fishing with them that got me and eventually Jeff hooked on king fishing. 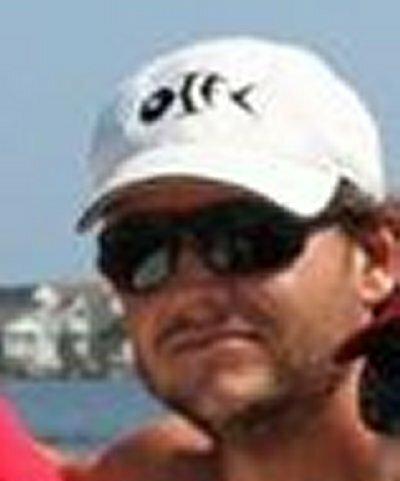 Now 5 boats later and a couple of inshore and off shore tournament wins we are honored to be members of Team OIFC. We are a family and fish as a family! Courtney Beck- Wife of Capt. Jeff, Mother of Camdyn, and Lady Angler for Team Do Work/OIFC Fishing Team. Courtney serves many roles for the Team. She completes all of the behind the scene work to help keep our Team up and running. When it comes time to fish, Courtney is one you want on the boat. She can drive, set baits and fight a fish. 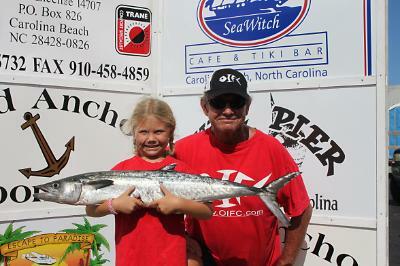 She is a member of the Southern Kingfish Association and has earned several accolades in her tournament career. Camdyn Beck- the star junior angler of the Do Work/OIFC Fishing Team. 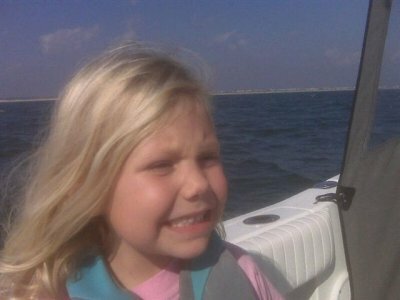 As a self-proclaimed “Daddy’s Girl”, she has been on a boat since she was a baby. The faster we went, the better she slept, and she still does today. Camdyn is an expert pogy fetcher. When it is time to bait a line, she always manages to find the biggest, best bait for that tournament winning king mackeral. It is also not unheard of for her to grab the wheel while the rest of the Do Work/OIFC crew is fighting a fish or two. 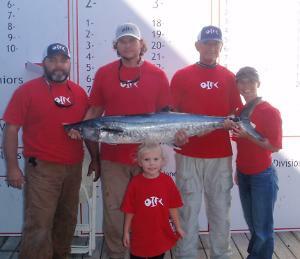 She is a member of the Southern Kingfish Association and has earned several accolades in her tournament career thus far. 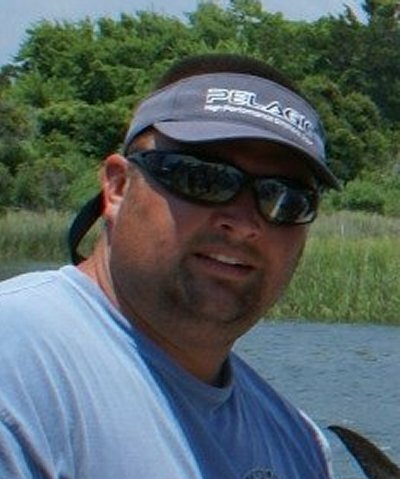 Timmy Clemmons: I am a native of Brunswick County and have grown up on the waters around Brunswick County. I have been involved in the fishing industry all of my life. While growing up, my parents were commercial fishermen. I remember netting off of Holden Beach with my parents and brother. During the summer breaks from school I would catch and sell clams to make money. My family also operated a crabbing business out of the Shallotte River. My Dad, James Clemmons, is well known for his “striking” skill, that’s flounder gigging at night for those who are wondering what that is. I try to go with him as often as I can to this day. A couple of years ago I was brought on as a team member of the “Do Work” fishing team based out of the Ocean Isle Fishing Center. 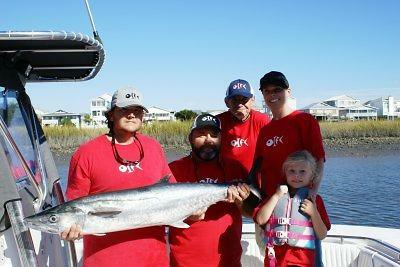 In 2010 we actually did well and won the SKA Division 9, which completely hooked me on King Mackerel fishing. I have fished with Capt. Jeff Beck and the rest of the crew for two full seasons now. I appreciate the opportunity to fish with the team again this year and let’s DO Work. 2012 Rumble In The Jungle- 25th place. Little River, SC. 23.10 pound King Mackerel. 2012 East Coast Got'em On- 4th place Junior division. Carolina Beach, NC. 16.15 pound King Mackerel. 2011 East Coast Got'em On- 15th place. Carolina Beach, NC. 16 pound King Mackerel. 2010 SKA Division 9- 1st place overall, 1st place Senior, 3rd place Lady. Southeastern, NC. 96 pound, 3 fish aggregate. 2010 Fall Brawl King Classic- 6th place. Ocean Isle Beach, NC. 34 pound King Mackerel. 2010 East Coast Got'em On- 2nd place lady. Carolina Beach, NC. 28 pound King Mackerel.